WARNING: The content you are about to read will NOT allow you to instantly skip to the top of Google’s Search Engine Results Pages (SERPs). That is not possible. If you are told by any SEO “expert” that they can instantly get to #1, run screaming in the other direction. They are toxic. Their strategies can do serious long-term damage to your website, including potential blacklisting by Google. GOOD NEWS: The list below is about Google’s present and future. There isn’t anything about social media, author tags, or any of the other speculative stuff out there – just core strategies. You will able to rely on these tactics for a long time to get more clients through your website. For those of you who aren’t familiar with Google’s history, there is one important lesson for you to understand before reading this list. The ultimate goal of Google is to make money. For Google to make money, they need to remain the unquestioned best at providing useful results for searches. This, in turn, means making sure that every person who uses Google gets a satisfactory response to his or her query. There are both technical and “human” considerations at play. Building Links – These aren’t going anywhere. High quality links pointing to your site will help you rank. Links were part of Google’s plans from day one of their existence. They are still one of the top three factors in your website’s rankings. Google sees links to your site as “recommendations” from other sites. You want your links to come from reputable sources. 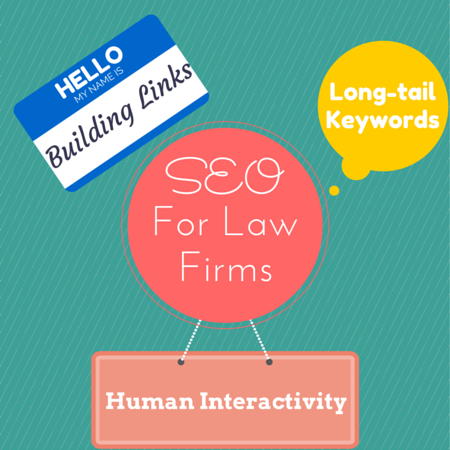 This is a quality over quantity game (though having more quality links than another law firm is always a good thing). Long-tail Keywords – Trying to rank for “[your city] [your state] attorney” is just asking for trouble. However, ranking for searches that people may be doing about specific statutes in your state is much more likely, such as “what are the penalties for a first-time DUI in Wisconsin.” People research their problems in this manner before ultimately deciding to hire an attorney. You want to be in their path when they start searching for information. Human Interactivity – If people come to your content and quickly skip away from it, that is a signal to Google that you aren’t providing searchers with a good enough answer. Sometimes the problem is just that your content isn’t designed to keep people on the page. You want to make sure you have interesting headlines and design the content to be interesting and engaging for readers. 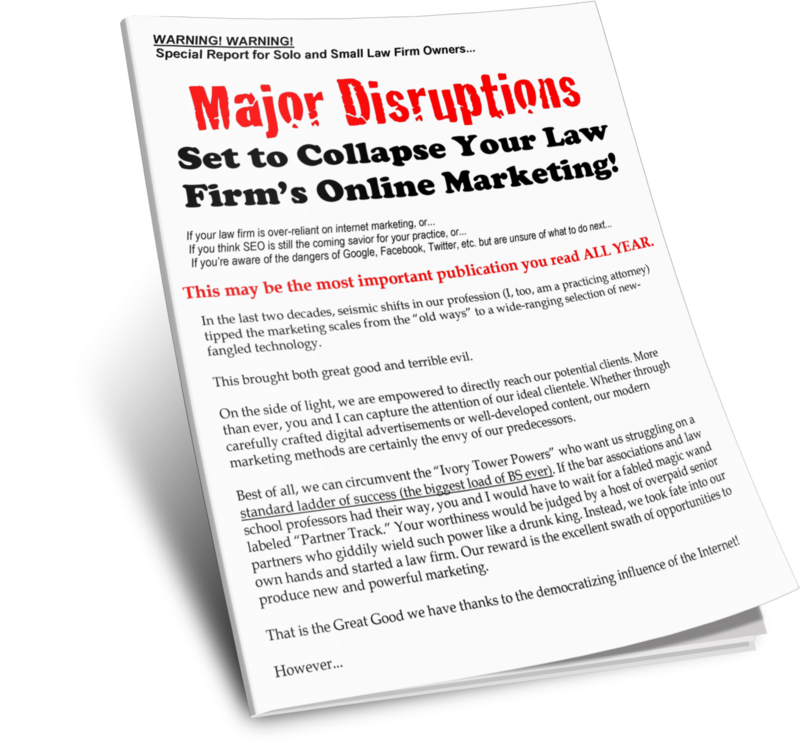 It’s easy to get caught up in jargon in the legal field. Avoid that at all costs! If you focus on those three items, you will be able to create long-term success on Google. This is simply a function of using Google’s previous behavior and what they have been trying to do for the past decade. When you look at Google as a business with search-specific goals, you will be better equipped to handle search engine optimization.